Is your Cotswold-area deck looking years beyond its age? Is your deck, in fact, quite old and showing its age accurately? 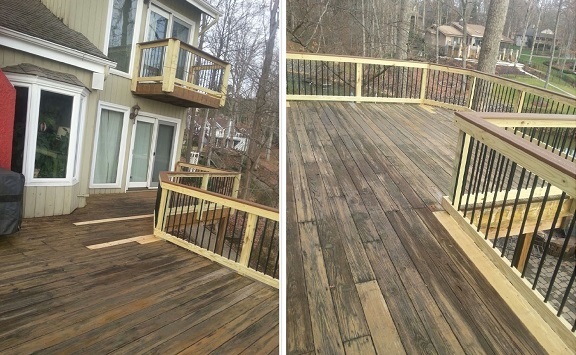 If you’re searching for a company that can clean and stain your deck, to a degree you didn’t know was possible, then call Renew Crew of Charlotte. 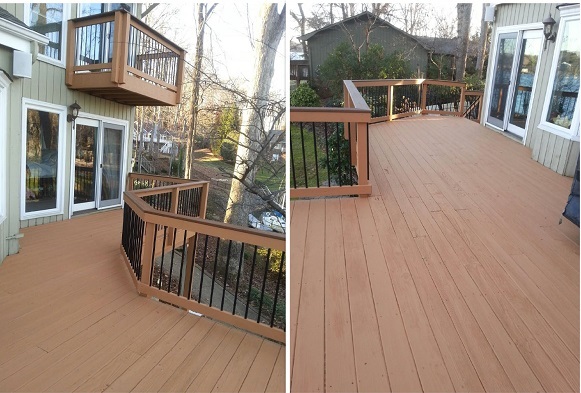 We offer the most effective deck cleaning and staining services on the market. 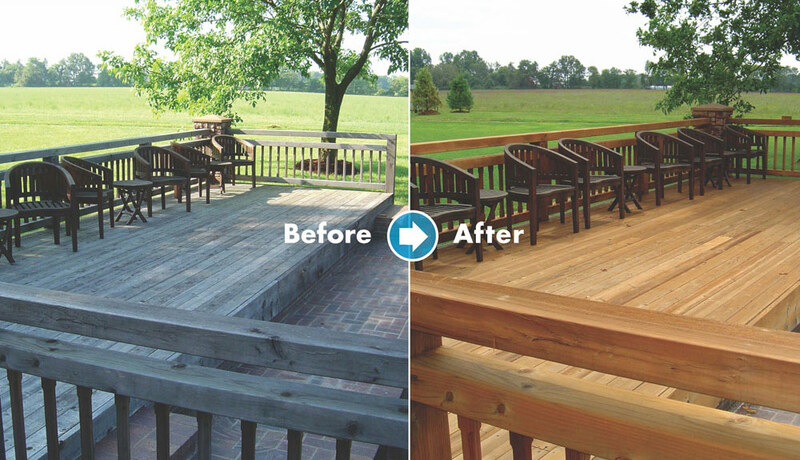 We’ll bring your deck back from the brink of despair and make it look practically new again. Call today at 704-445-3210! Our 3-step process starts with pre-soak foam. 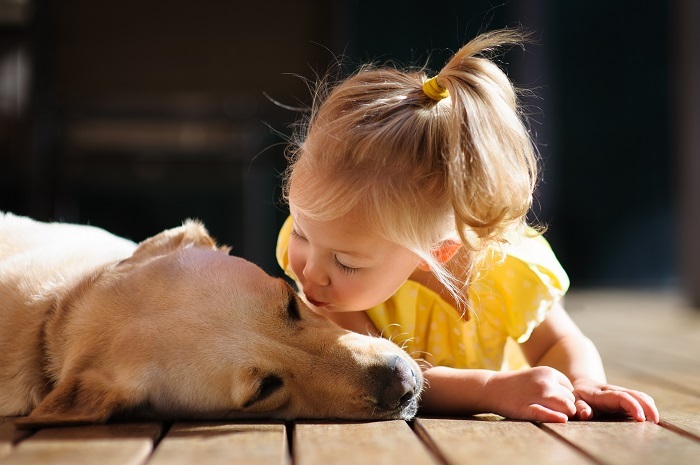 Unlike outdoor cleaners that most pressure washing companies in Charlotte use, ours is environmentally friendly and won’t cause any damage to plants, animals or your outdoor surfaces. Once our foam has had a chance to penetrate your outdoor surfaces to loosen the dirt and grime, we use non-damaging controlled pressure to rinse it all, leaving your outdoor exteriors and spaces looking beautiful. The third and final step in our Renew Crew process is what truly sets us apart from other outdoor surface cleaning companies. We take cleaning and exterior surface rejuvenation one step further and protect it to repel harmful outdoor elements, including UV rays. 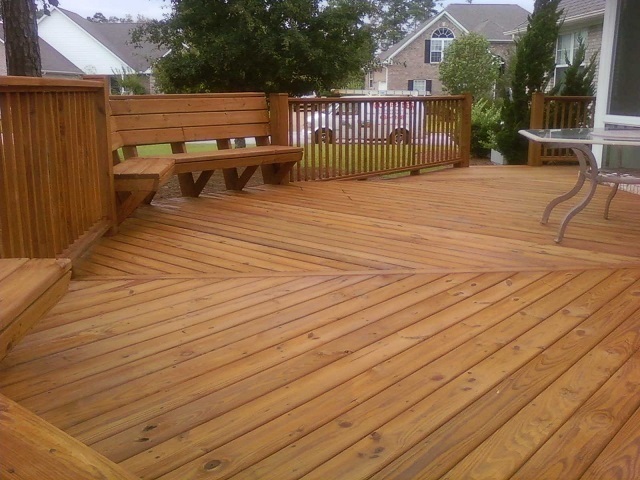 If you think that your deck is in such disarray that it’s beyond repair or renewal, call Renew Crew first! We’ll be able to provide you with this critical information and we also have a sister company, Archadeck, that specializes in decks. 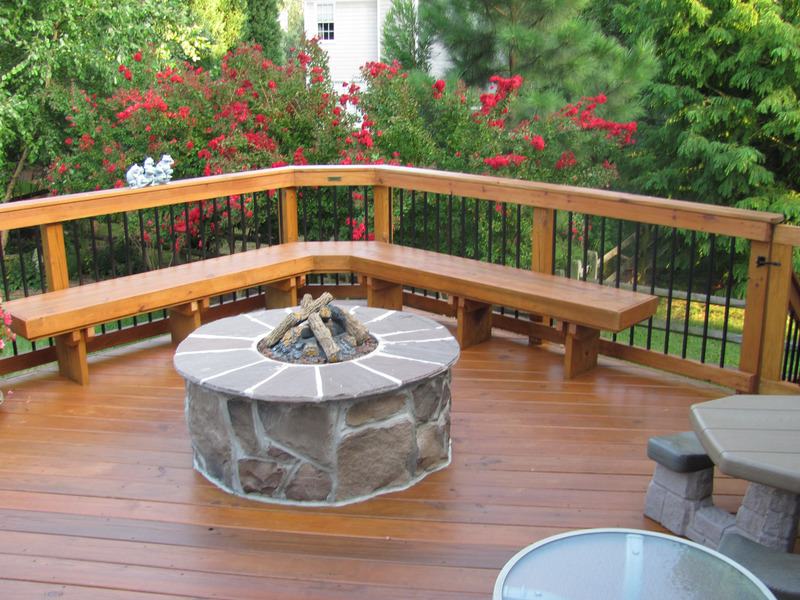 If you’re searching for the most trusted deck cleaning and staining company in the Cotswold area and surrounding areas, then call Renew Crew of Charlotte at 704-445-3210 or email us at [email protected]. We look forward to hearing from you soon! Deck after Renew Crew clean — amazing! Would you entrust your deck maintenance to just anybody?